SciHigh defines student success as the pursuit and achievement of any or all of the following pathways: attainment of a TOPS University diploma, a JumpStart TOPS Technical diploma, and/or a career technical/trade certification resulting in employment upon graduation or further enrollment in technical, workforce, or on the job training. Classes in the Career & Technical Education (CTE) Department include Makerspace, Graphic Design, NCCER Core+/Carpentry/OSHA, and Journey to Careers. Click here for a full listing of course offerings, including those within CTE. Makerspace is a survey class about creativity, invention, and problem solving. Explore the pathway options available to you at Sci High through projects in Makerspace. Learn to make a website, a logo, robots, and other projects using AutoDesk Inventor, laser cutters, 3D printers, electronics and soldering, crafting and tinkering, hand and power tools, woodworking, and more! 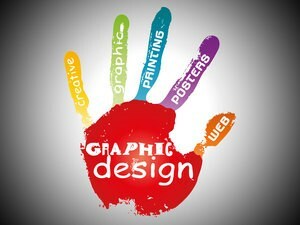 Graphic Design is a class where students will learn the foundations of industry-aligned programs, such as Adobe Photoshop & Illustrator, while being challenged to create visually compelling images. This course is the combination of NCCER Core, Carpentry Level 1, and OSHA. Successful completion of this course, including passing the certification exam, will award students with three industry-aligned credentials. This course includes modules involving wall, ceiling, & roof framing, reading blueprints, and foundations just to name a few. In Quest for Success, all freshmen participate in career exploration activities and learn about the variety of post-secondary options available. Students also explore, understand, and practice “soft skills” that contribute to successful employment. In addition, Sci High 9th graders explore, understand, and apply personal finance concepts and skills with the help of Junior Achievement's Finance Park program.